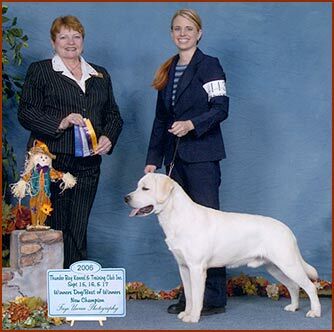 Dragon is a Canadian Champion and a beautiful show dog. I often have pet homes inquire what a champion is. So, to explain, when a dog "finishes" in the show ring (very few dogs are actually able to finish), he reaches the title "Champion" or "CH". Dori's puppies are sired by this champion. So, the puppy you are buying from this litter is "sired" by a champion.